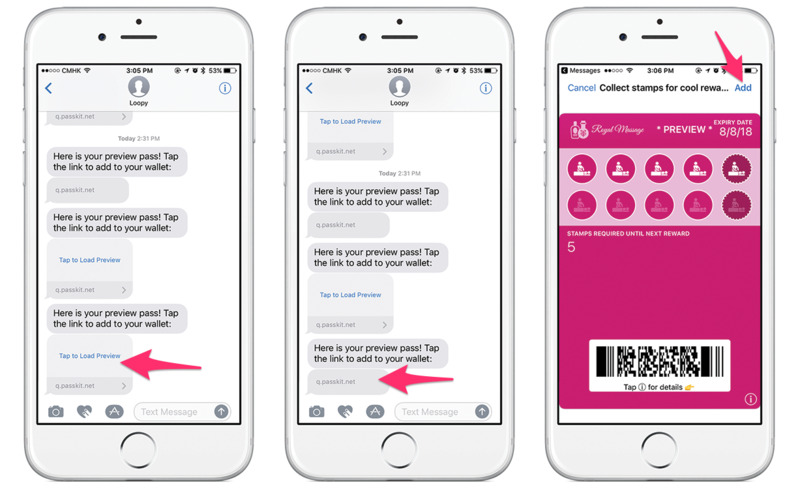 Test your digital stamp card in Apple Wallet & Google Pay before activating your card design. 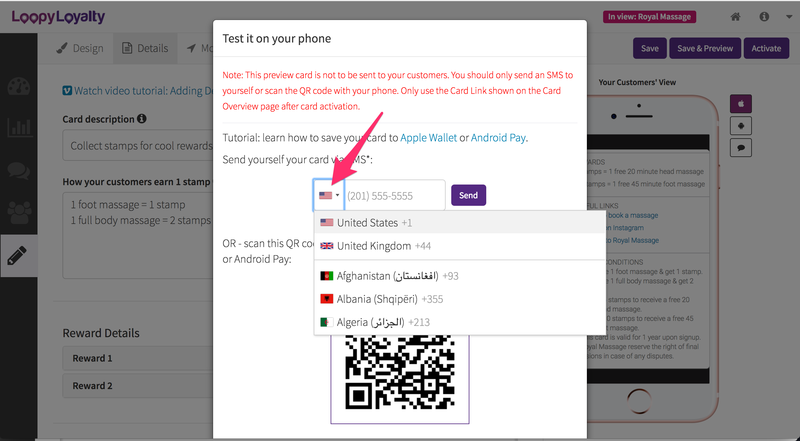 At any point when you are creating your digital stamp card, you can preview what your card will look like by installing it in Apple Wallet or Google Pay. Here's how. Click on 'Save & Preview'. Type in the name of your card if you haven't done so already. 1. Select the country you are in by clicking on the 'Flag'. 2. Enter your mobile number in and tap 'Send'. 3. 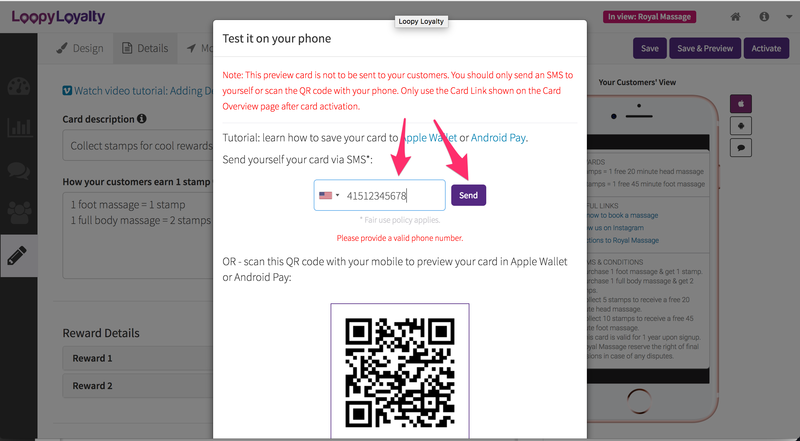 You will receive an SMS from the sender name "Loopy". Tap on 'Tap to Load Preview' and once it's loaded tap the the URL. 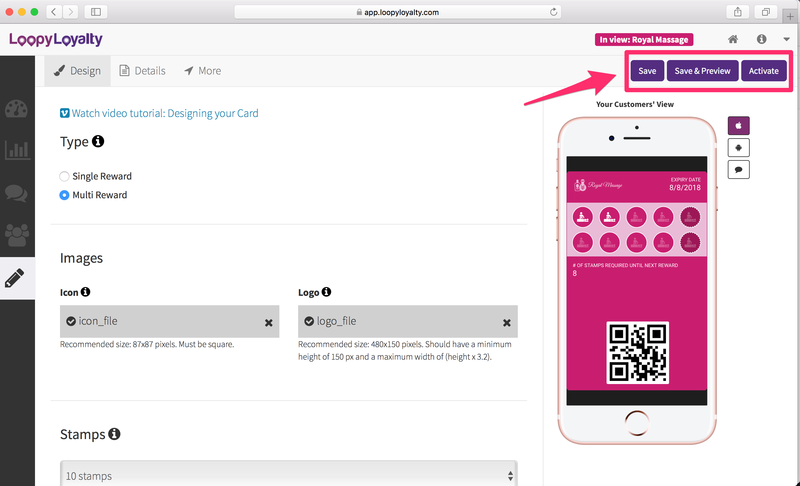 You will be redirected to your browser where you can add your digital stamp card to Apple Wallet or Google Pay. Option 2: Scan the QR code with a 2D barcode scanner app.